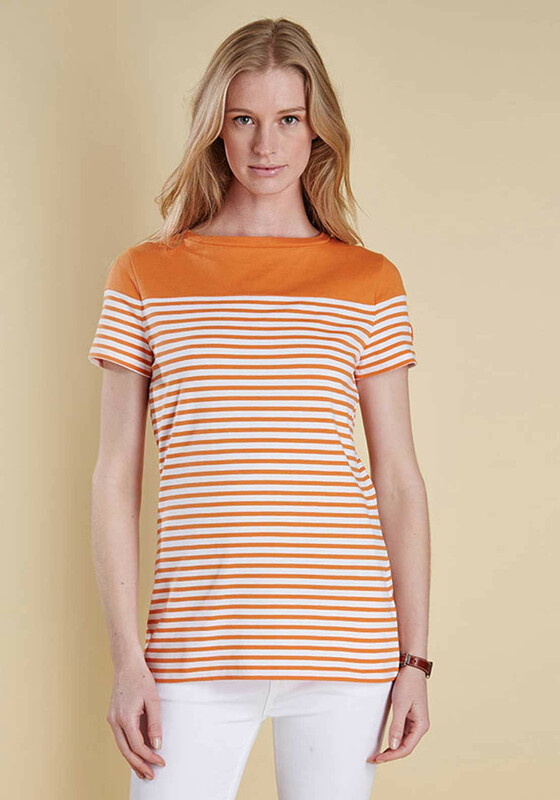 Update your casual separates with the Teesport short sleeve t-shirt from Barbour which would be a bright choice to wear with white linen trousers or shorts on warmer days. 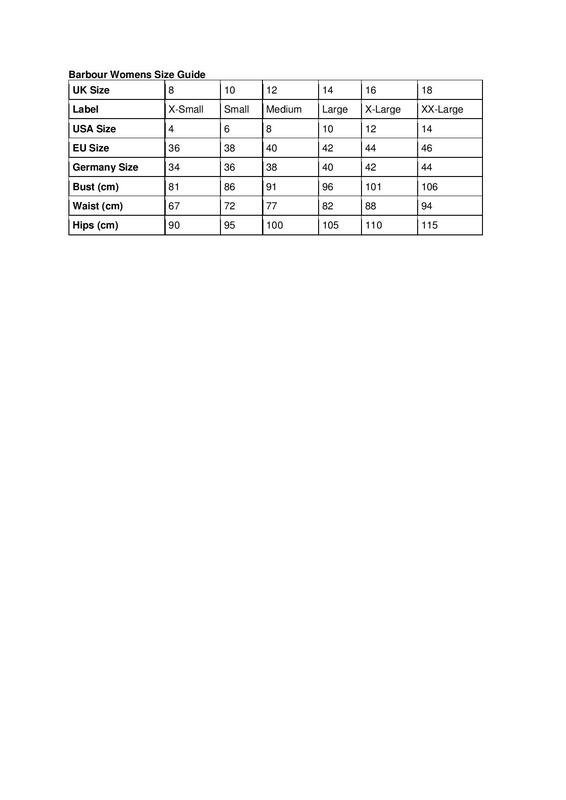 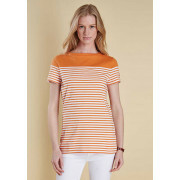 Crafted from soft cotton jersey fabric which will deliver excellent comfort. 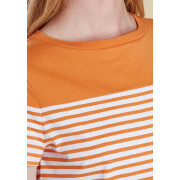 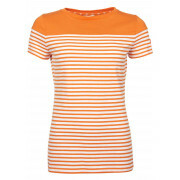 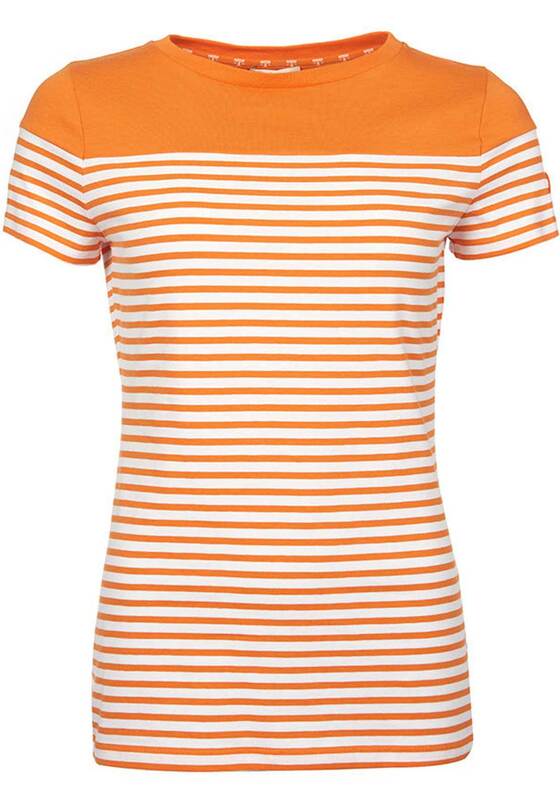 Styled with a figure skimming feminine shape and featuring an orange and white striped print throughout.